What is a chain saw? A chain saw refers to a mechanical saw that is usually portable, and one that can be powered by compressed air, electric power, hydraulic power or a gas powered engine. Chain saws are commonly used for cutting trees or lumber jacking, in which regard they may be used to complete a wide range of functions such as tree felling, bucking, pruning and cutting. A chain saw may also be of assistance in providing fire breaks in the event of wildfires, for firewood harvesting as and by tree surgeons for a wide spectrum of reasons. Chain saws are generally categorized according to their power source, in which case we have the electric chain saws and the gas chain saws. Other variables may be used to classify chain saws, with effect that the professional, all round and recreational chain saw types can be found. The different types of chain saws have their own advantages and limitations depending on who uses them as well as the purpose for and manner in which they are used. However, the electric chain saw is preferred against the other chain saw types. Let us discuss some reasons that rank this saw way ahead of other types. An electric chain saw is easier to operate as compared to the other chain saw types. For this kind of saw, all that is required is the source of power and the knowledge on how to turn it on and off. This is in sharp contrast to other types of chain saws that are more mechanical, requiring priming the motor and pulling the cord several times in order to ignite the combustible engine and get the saw to function. 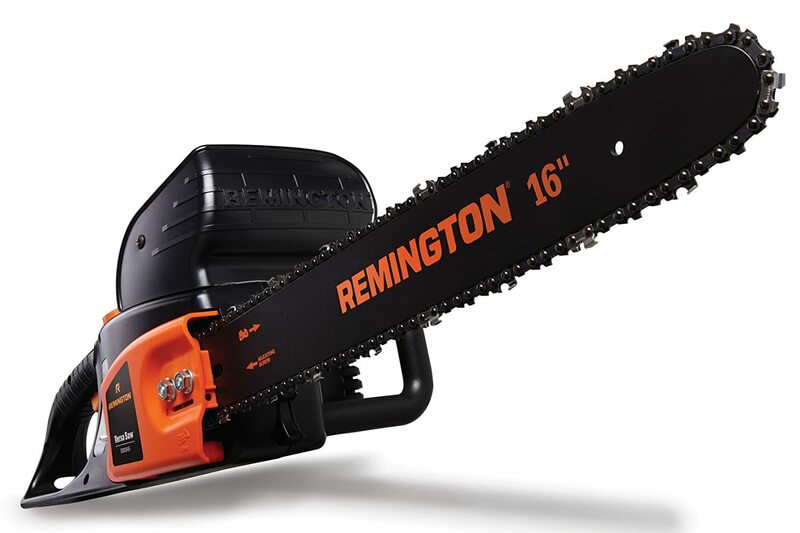 When it comes to safety, an electric chain saw scores higher than the other chain saw types as well. This is due to the fact that this saw has a light-weight design that enables the user to use it without having to worry about handling a dangerous device that may be difficult to swing due to its weight. Additionally, these saws have safety chains as added advantages, which help to lower the incidence of kickbacks. Kickbacks normally occur when the tip of the blade runs into an object, causing the device to literally ‘kick back’ at the operator. Even in the event of a kickback, the impact on the operator is highly reduced due to the fact that these saws are less powerful. The fuel effectiveness of an electric saw can be seen in various ways. First, they do not require any fuel source to run, and simply need to be plugged into an available source of power and you are good to go. Additionally, these saws are not affected by recovery times, as opposed to those powered otherwise such as the gas-powered chain saws. Even in the event of a power outage, the electric chain saws can quickly recover once the power is back and as we all know, the other types have to be allowed to cool off before they can be refueled. An electric chain saw is less noisy when compared to its counterparts. Noise level is a factor never to be ignored and it can indeed deny the user an opportunity or right to use the chain saw in certain environments. Additionally, the high noise level of other chain saws may be detrimental to the auditory system of the users themselves, even if they care less about the environment in which they use the chain saws. An electric chain saw is a lot easier to store than other chain saw types, and especially so when it comes to long-term storage. This is because these chain saws normally come with convenient storage and transport cases that make them easier to clean and pack in the storage devices. 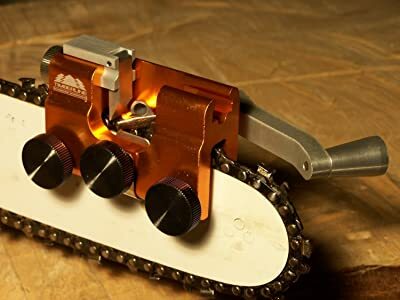 In addition, they do not require removal of fuel, unlike other chain saw types like the gas-powered that require all oil to be emptied and the spark-plugs removed before the saws can be stored. It would be hard to imagine that with all its attractions, an electric chain saw would still be cheaper compared to the other chain saw types. Well, as it were, these saws are generally cheaper and this can be attributed to the fact that they come in many brands as well.